It is difficult to find kid’s books that children actually want to read over and over. Parents and teachers are always looking for resources that allow them to teach their children something useful while keeping their attention. This is one of those kid’s dinosaur books that allow children to learn while immersing themselves in an exciting, attention-grabbing subject. It is commonly believed that dinosaurs were enormous creatures with massive strength who ruled the earth for many years, but what if they didn’t all fit that description? What if some dinosaurs were as small as turtles? What if some had tiny brains and were never as smart as a fifth grader living today? 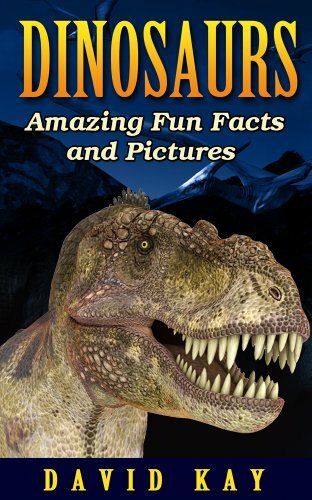 This book about dinosaurs enlightens children as well as adults on an exciting group of animals known as dinosaurs. As paleontologists work to study the remains of these creatures from around the world, some surprising insights into the world of the dinosaurs continue to surface. This kid’s dinosaur book offers children a look into the life and times of these amazing creatures. This book uses insights drawn from discoveries of paleontologists past and present to bring children into the Mesozoic Era. This was the period of time in which the dinosaurs lived on earth, and the world was very different than it is for children living today. Just how different and in what ways it was different are questions that can be found within the pages of this book.